Neglected mold problems will only worsen with time and require a more costly remediation. The nature of mold allows it to contaminate virtually anything, given the right conditions. If mold has developed and is ignored, the contamination will spread to unaffected areas. As the contamination spreads, removal becomes more involved and costlier. That is why we always recommend immediate attention when it comes to mold development. 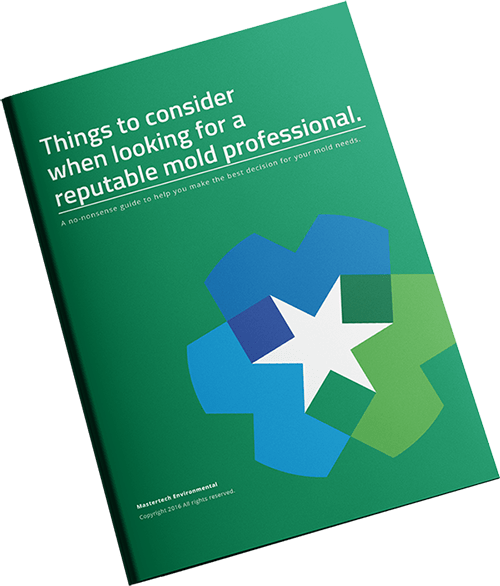 If you detect sign of a mold contamination in your Edgewater Park, NJ home or business, you need to contact a reputable NJ mold removal professional who is thoroughly trained to properly address the mold in a timely manner. Conduct a visual assessment to identify any conditions that can contribute to mold growth. Map any and all moisture migration to determine where the water begins and ends to understand the pattern of mold growth. Outline all the findings in a details report that explains what was done, what was found, where it was found, and what to do next. 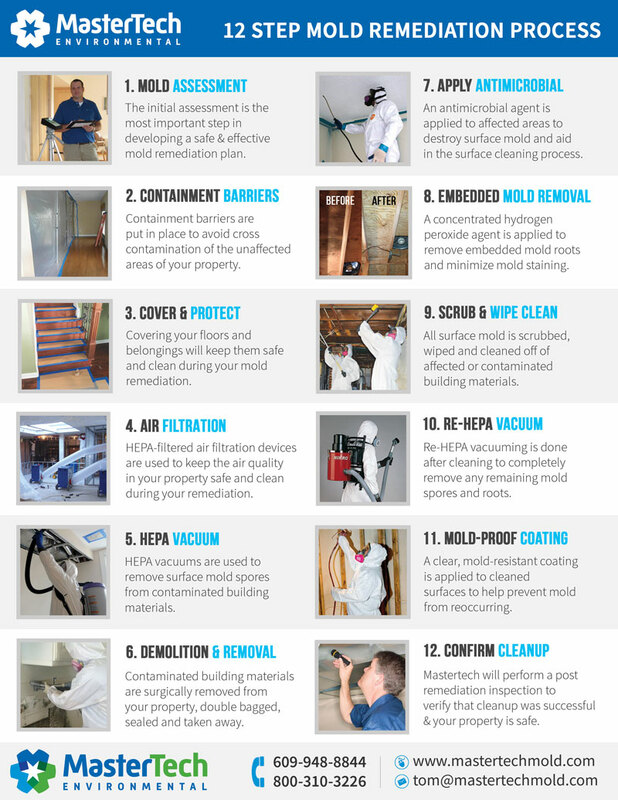 Every mold contamination will vary depending on the environment and the conditions promoting the mold development, so it is important that the scope of work for mold remediation in Edgewater Park, NJ is custom-tailored to fit your specific mold needs. Determining Causation– Where there is mold, there is a water source causing the mold to develop. In order to complete a successful mold remediation, our technicians will find, stop, and fix the water source. Otherwise, despite a proper cleanup, the mold will come back. MasterTech will always prioritize you and your family’s safety. Our goal is to return you and your family to a mold-free and safe environment. To do so, MasterTech uses the safest and most advanced mold remediation techniques available. At MasterTech, we take every possible measure to maintain the utmost quality control. Each mold technician is thoroughly trained in all mold remediation procedures and protocols. Safety will always be MasterTech’s top priority. As proof of that, we back every mold removal in Edgewater Park, NJ with a 5-year mold-free warranty. It is our promise that the mold has been properly removed, and it will not grow back. Mold can mean serious consequences for you and your family. If you suspect a potential mold contamination, call MasterTech today to schedule a mold inspection in Burlington County, NJ. For mold inspection and mold removal in Mansfield, NJ or mold inspection and mold removal in Hainesport, NJ, call 609-948-8844.